If you are a commercial truck driver who performs long hauls, you likely have had times when you have had to combat fatigue while driving. Truckers have developed numerous techniques to deal with this type of fatigue including increasing caffeine dosage, opening the windows, or even illegal drug use. There are complicated laws and issues concerning the threat that fatigued driving poses to not just commercial operators, but anyone on the road. It is critical that people understand these issues to prevent being seriously injured in car accidents. Studies performed by the Federal Motor Carrier Safety Administration as well as the Sleep Help Institute, reveal that fatigue is a crucial factor in 13% of all accidents involving commercial trucks. Another study about the effect that fatigue plays on commercial truck driving found that truck drivers do not receive an adequate amount of sleep for the amount of work involved in their profession. The maximum amount that a commercial operator can drive his or her vehicle is 70 hours per week. After a driver works this amount, the driver must take a required 34-hour period of rest, which helps to ensure that drivers do not operate their vehicles while fatigued. This rest period must encompass two periods between 1 to 5 o’clock in the morning to make sure that truck drivers receive two nights of full sleep. Motor vehicle operators can only drive for 11 hours within any 24-hour period and the 11 hours must include at least one 30-minute break. Make sure that you receive an adequate amount of sleep before driving. If you do become tired while driving, pull over and take a nap. A good nap should last at least 45 minutes and can significantly reduce feelings associated with fatigue. Avoid driving at night because it is often easier to feel the effects of fatigue at this time. There are numerous medications that can make truck drivers feel drowsy. It is a good idea to always test medication before driving a truck. A person is more likely to feel the effects of fatigue when he or she does not eat properly, which is why it is a good idea to make sure your diet includes the proper nutrients including adequate carbohydrates and proteins. 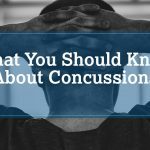 Understand the signs of fatigue so that you make sure to promptly pull over instead of continuing to drive and increasing the risk of being involved in an accident. 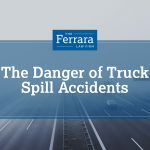 If you are a motorist whose life has been impacted by fatigue, you should not hesitate to obtain the assistance of a seasoned accident attorney like the legal counsel at Ferrara Law. Contact us today to schedule an initial free consultation.